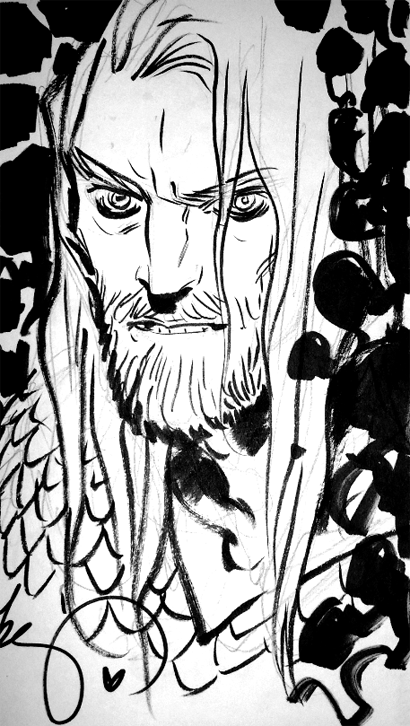 Another great Aqua-Sketch from the collection of F.O.A.M.er Kevin Elman, this time from superb artist Becky Cloonan! I really love Ms. Cloonan's work--it was pretty much the only thing I liked when it came to Convergence--and I think this piece is another winner. I hope it's not the last time we get to see her draw the Sea King!